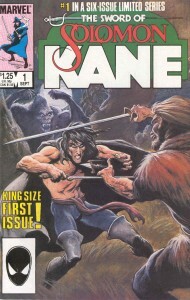 In 1986 I discovered a new comic book mini-series published by Marvel Comics entitled The Sword Of Solomon Kane. 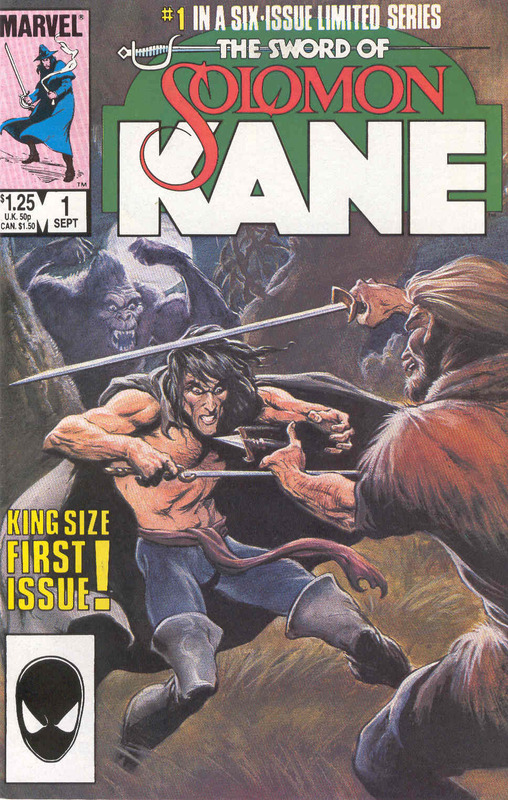 Having already spent many hours re-reading any Conan the Barbarian comic books that I owned I was pleased to discover that Solomon Kane is another Robert E. Howard character. While the cover art for the first issue wasn’t necessarily in a style that I favoured, I knew that I had to have it. Ultimately I wound up reading each of the six issues at least 2 or 3 times before heading down to the comic store or news stand to pick up the next one. There was absolutely nothing about it that I didn’t enjoy and I’ve re-read the series many times over the last 25 years. Imagine now the excitement that I was feeling when I discovered that Michael J. Bassett was working on a feature film involving Solomon Kane. A self-confessed geek, Bassett explains in some web interviews how much he desired to get this film done right. He had a certain way that he wanted the film to look and feel and strove very hard to obtain it. I found the resulting film to be very compelling. There was plenty of action from start to finish and a pleasant European feel throughout that prevented the film from feeling like yet another bit of Hollywood dreck. Personally, I find Hollywood films to be almost insulting in their presentation. The overall effect of today’s screenplays is pure pablum both in content and construction. Every studio is striving so hard to duplicate a successful pattern that I believe that the components are the only thing that matters. “As long as all of the pieces are in the right spot and contain the correct ingredients the film’s ready for consumption”. Hollywood lost it’s function years ago and anything that comes out of it these days bears little resemblance to quality filmmaking. Like a royal family suffering from decades of inbreeding, Hollywood can now only slap two (or more) mediocre concepts together to produce something very much less than the sum of it’s parts. Enter the independent filmmakers. Michael J. Bassett was unable to get Hollywood to buy in on the concept of Solomon Kane. Apparently Hollywood decided that folks in North America wouldn’t have any interest in seeing Solomon Kane and would have no part of it. Bassett took his ideas to Europe and made the film there, hence the absence of any noticeable dumbing down of concepts for the audiences “benefit”. I personally felt that Solomon Kane was a breath of fresh air. With so many comic book franchises being ground up for theatre fodder these days I very much enjoyed seeing one that was the product of someone who truly enjoyed the character and had a genuine desire to help others enjoy it too. You may have noticed the lack of trailers for Solomon Kane airing in theatres and on television. That’s because Hollywood still does not believe that the North American movie going public have any interest in seeing Bassett’s excellent work.This film is a significant step up from such films as Van Helsing and The Brothers Grimm. Even Hollywood admits that those probably shouldn’t have been made but they were happy to insult our intelligence and take our money for them all the same. As such Solomon Kane is not currently available in North America despite having done quite well for itself in Europe and is already released there on DVD. I’m afraid that some of my ranting has detracted from the original intent of my post which is to convey to as many people as possible that Solomon Kane is a particularly well made and enjoyable film. I strongly recommend that you see it if you’re able to get your hands on it. If you’re interested in making an attempt at letting Hollywood know just how much you would like to see this fine film you can head on over to http://www.solomon-kane.com/ to contribute your name to a protest list and make it known that someone in your area WANTS to see this movie in theatres. You can also see some great clips from the movie as well as interviews with cast and crew.